Here in London it can feel as though you have escaped Winter with barely any need to really wrap up during December and January, then February hits and you remember that Spring is still a long way off. Spring blooms may be popping up here there and everywhere but it’ll be a while before we can wear the new season looks we’re coveting. 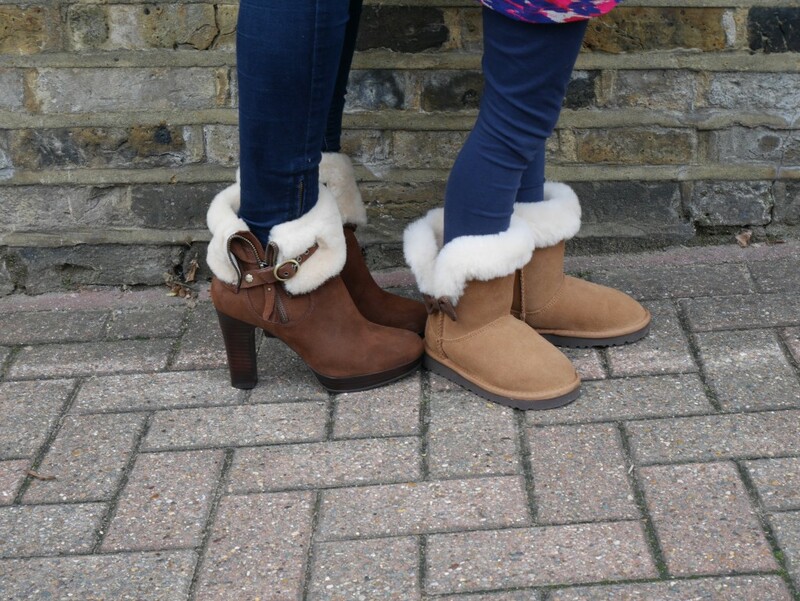 When the weather starts to freeze there’s only one thing for it: sheepskin boots, for me and my mini ones. 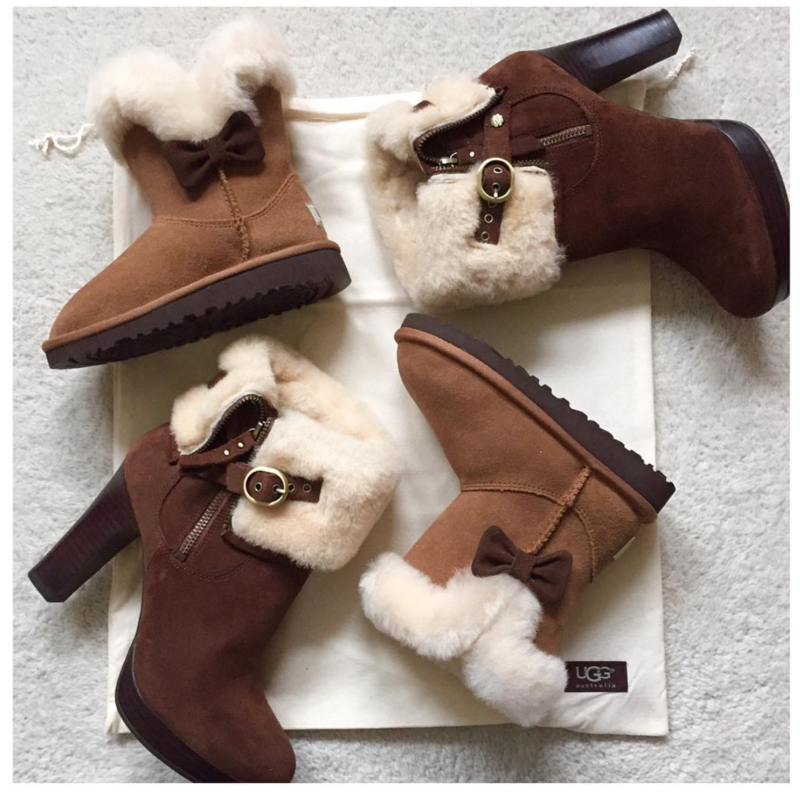 This year we’re coordinating in fold-over styles by UGG c\o Jake Shoes for the ultimate in cosy toes. 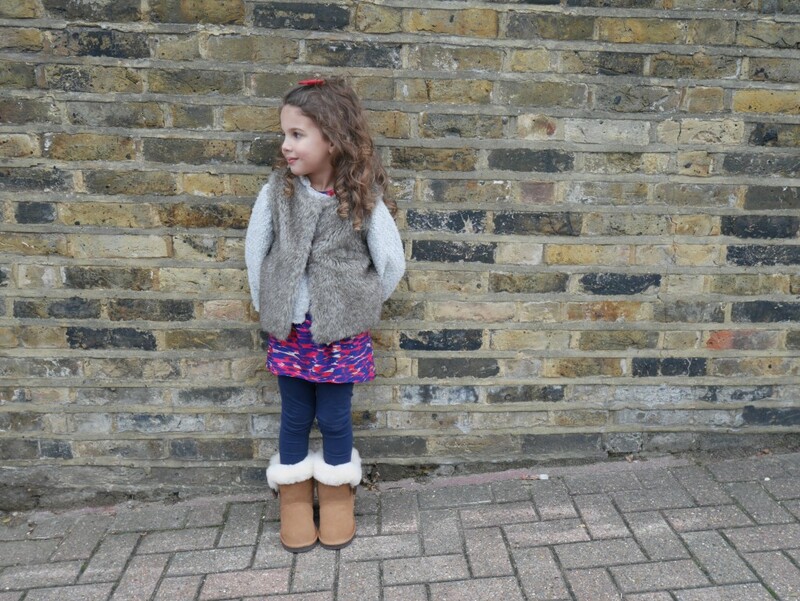 When the weekends arrive, Coco Lily can’t wait to wear her cosy boots which she teams with everything from skinny jeans and leggings to dresses, shorts and tutus. This is the second pair of UGGs she’s had and they wear really well (the others are still going strong) with endless outings from early Autumn right through into Spring they are well worth the investment. A heeled boot will always win in my book and with the platform sole these are more school-run-friendly. They also work well to balance out curvy thighs in a super-skinny jean. For a flatter style that will keep you warm in style, look to the lace up ‘Lodge’ boot in black or the ‘Volta’ buckle boot in chestnut.